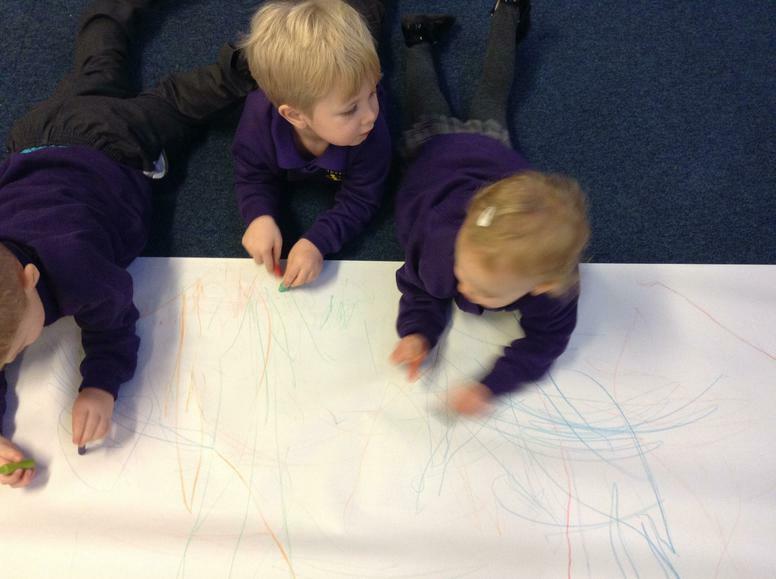 In Nursery we have introduced a pre-writing programme to work alongside our 'Dough Gym' activities, which take place each week. 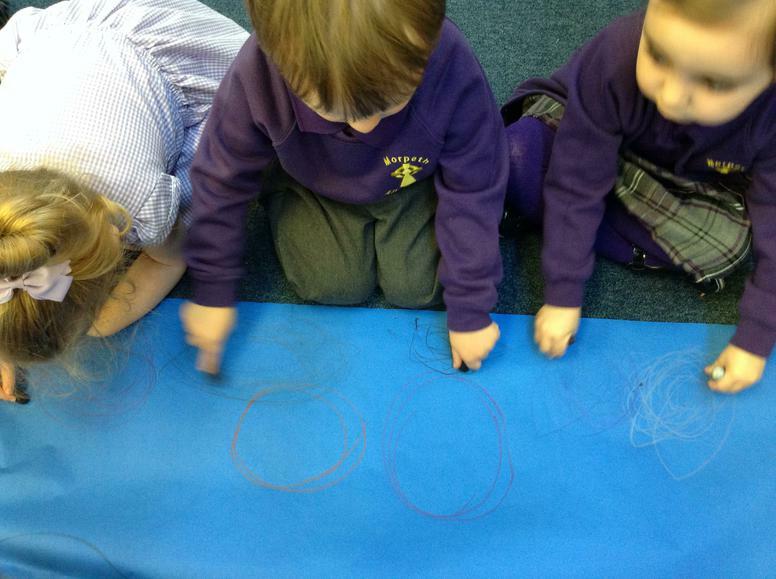 It is called Squiggle While You Wiggle. 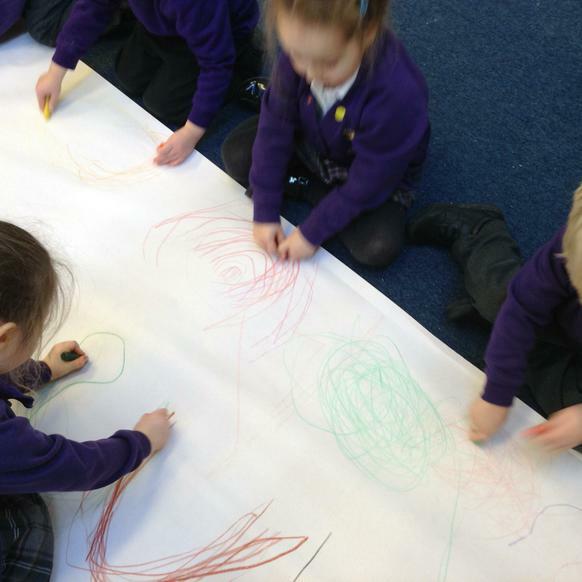 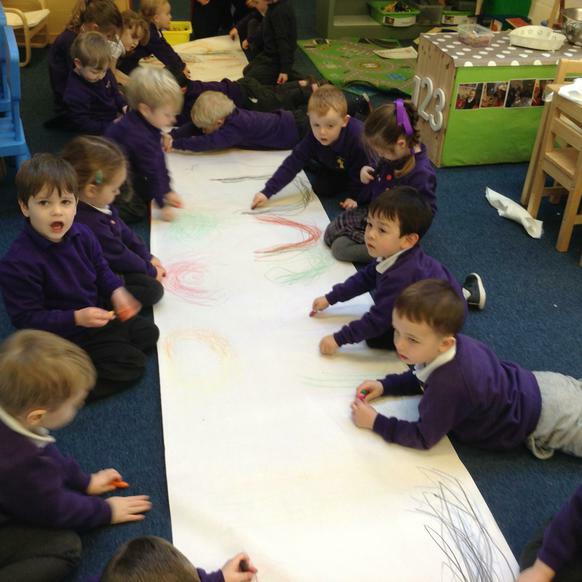 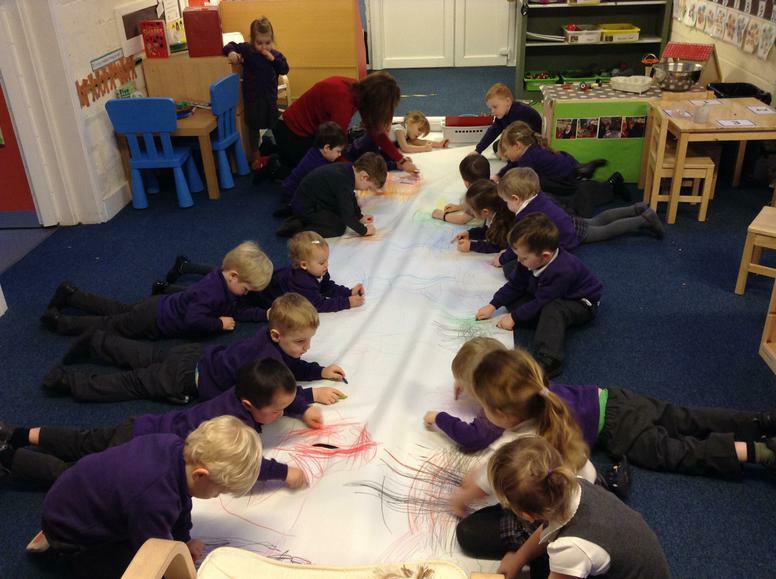 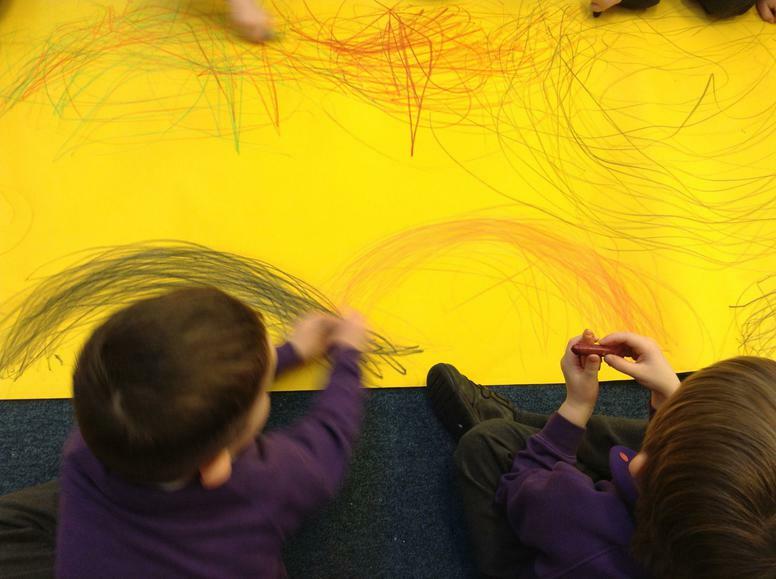 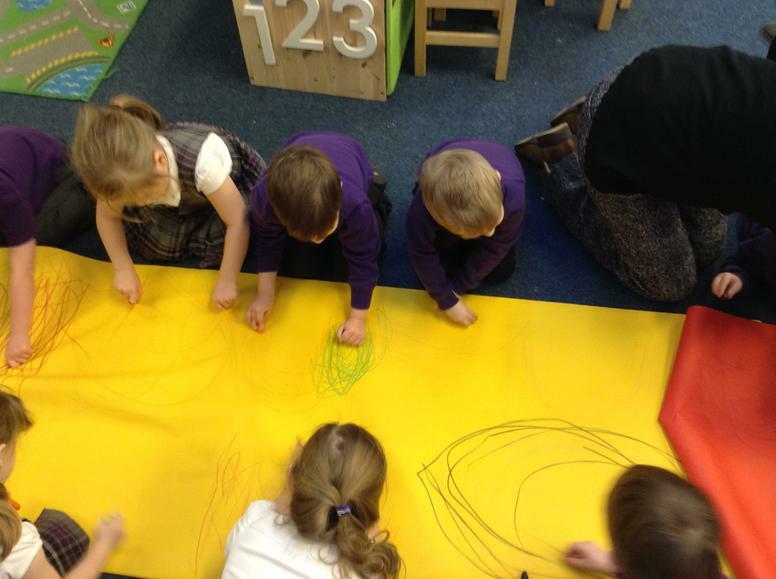 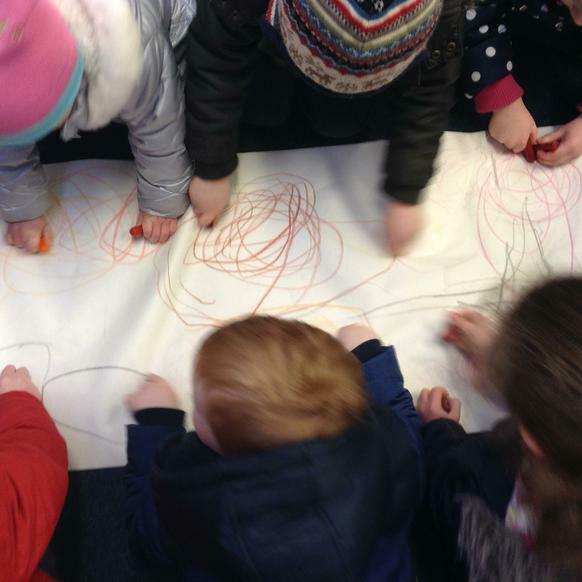 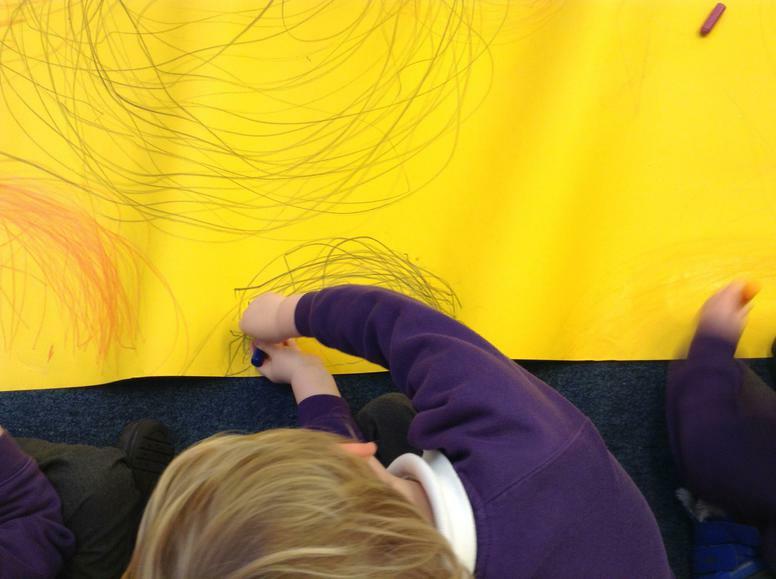 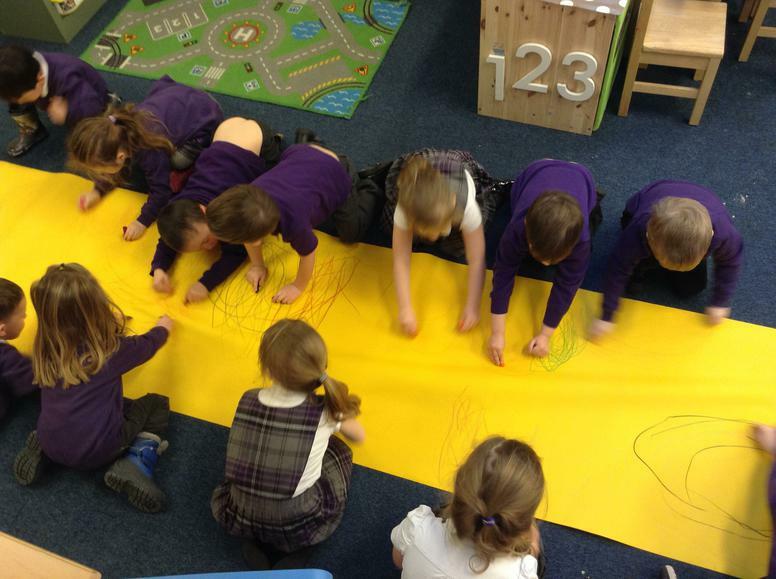 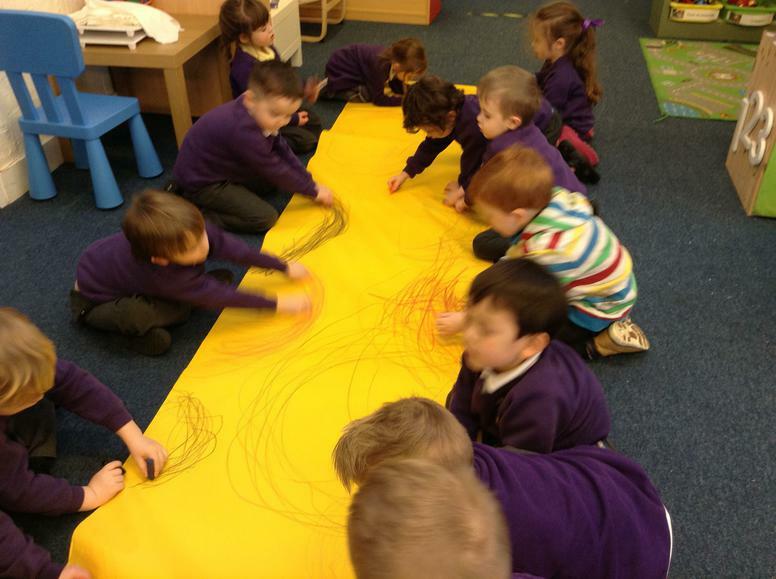 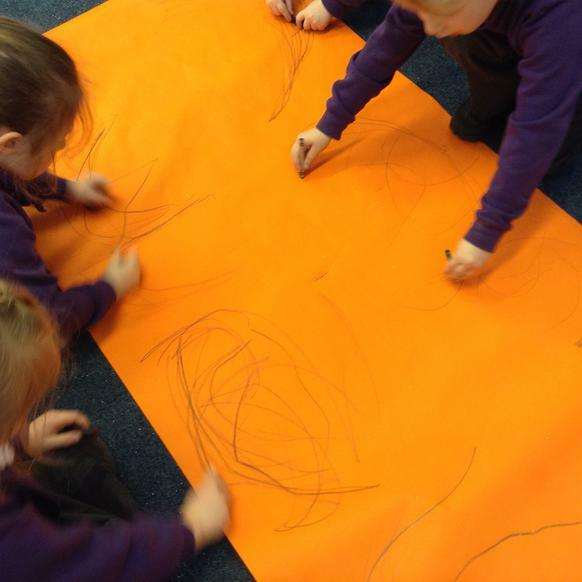 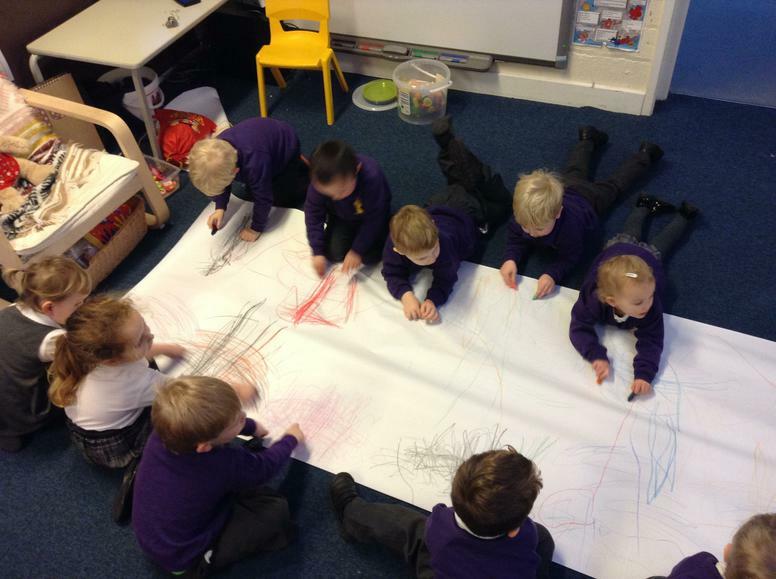 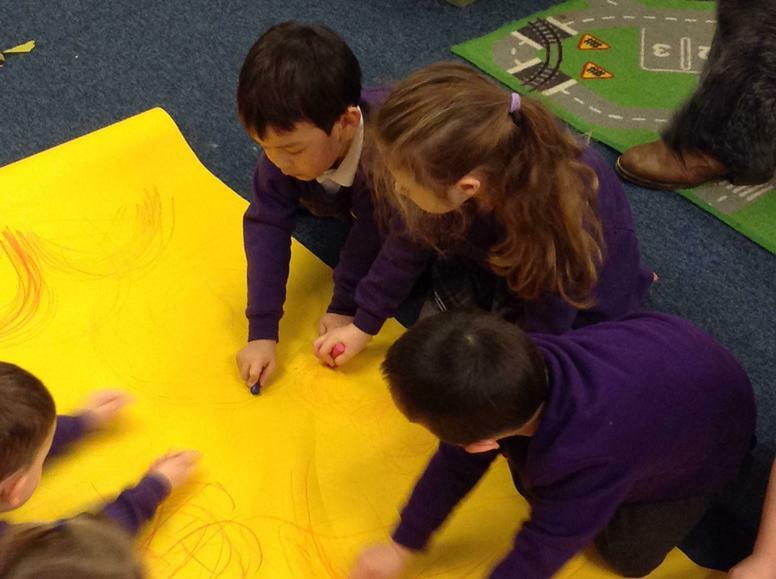 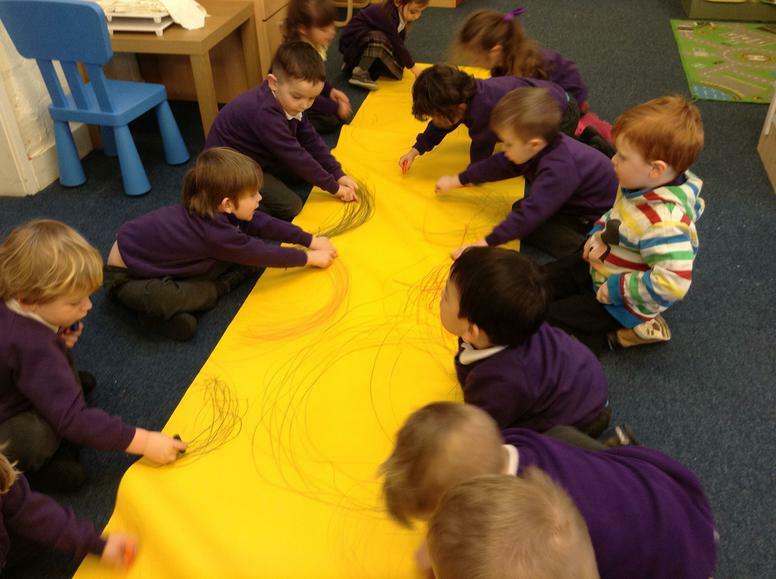 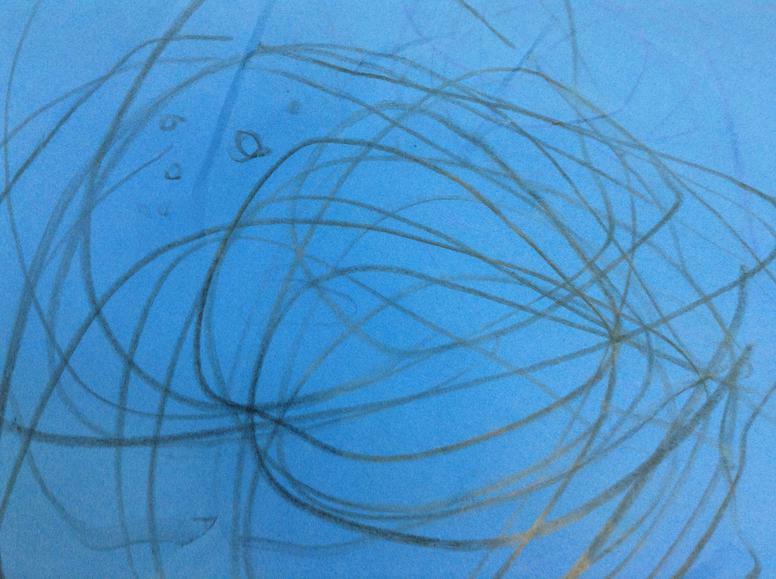 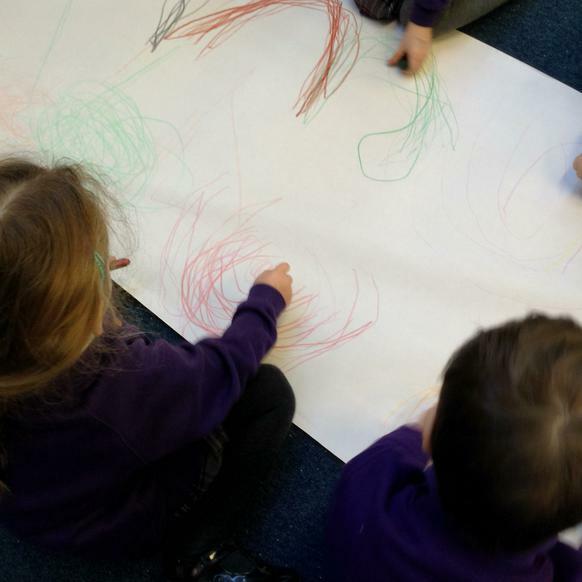 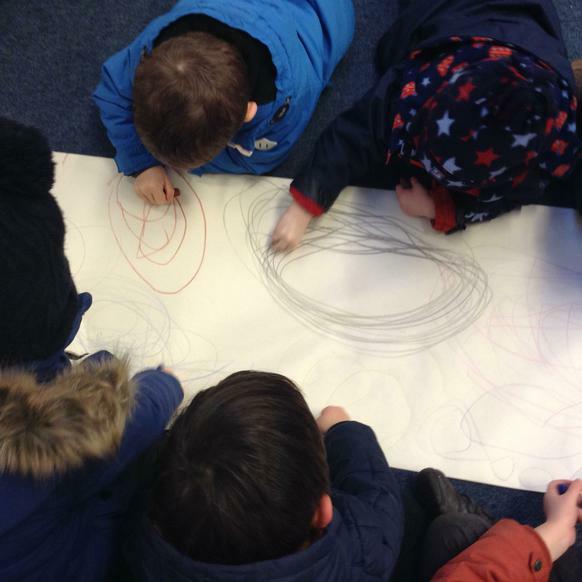 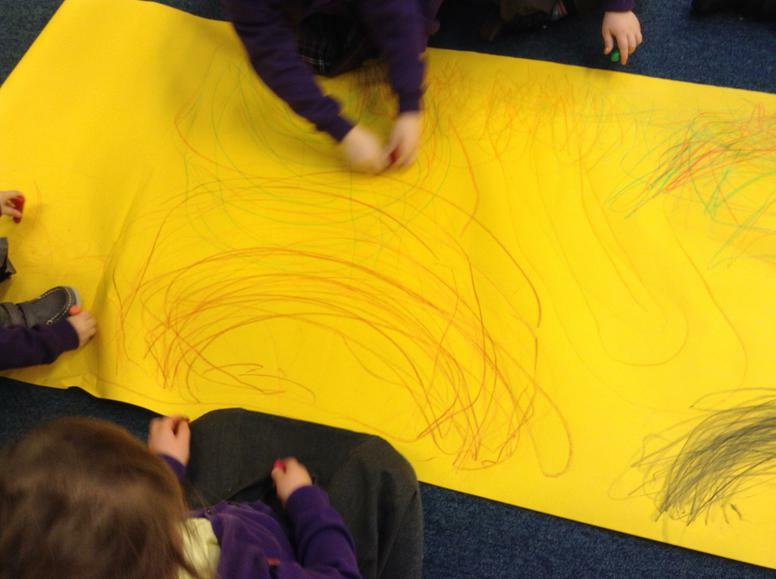 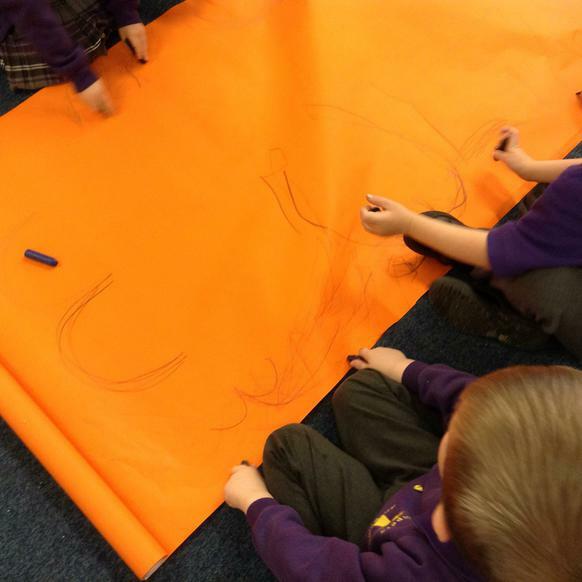 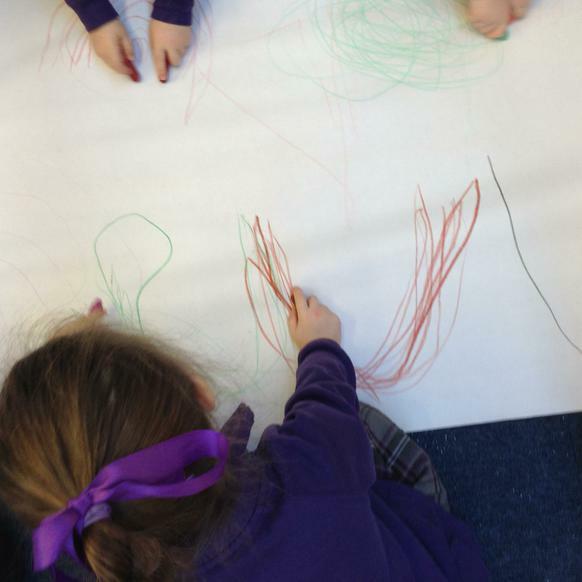 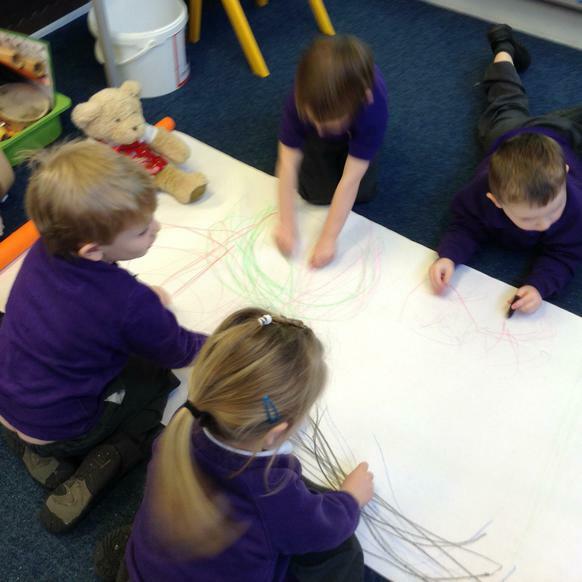 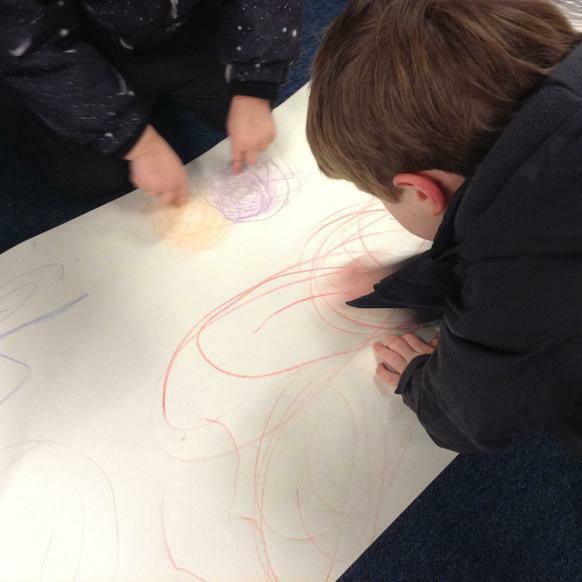 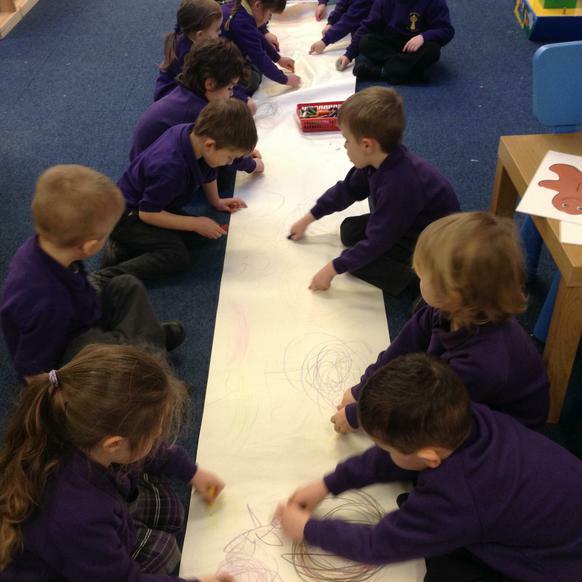 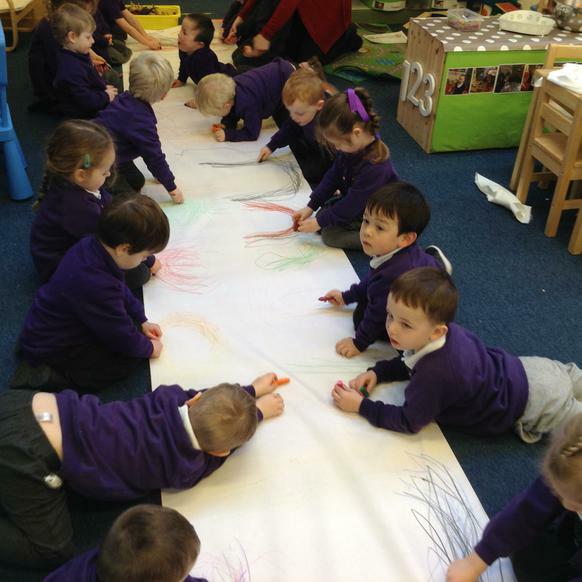 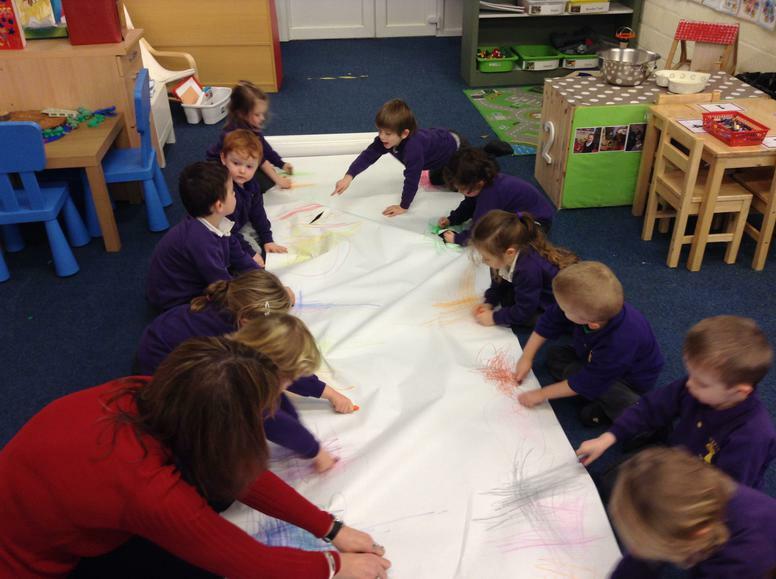 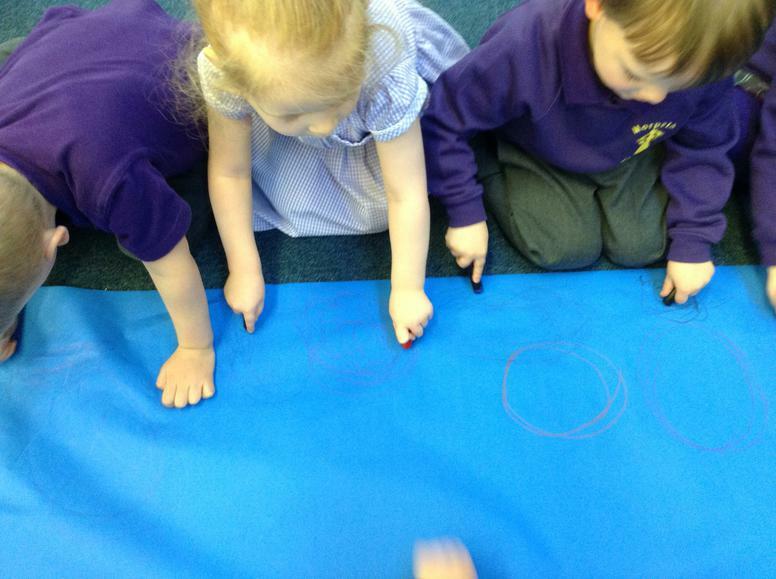 Squiggle While You Wiggle is a kinaesthetic approach to stimulate early writing. 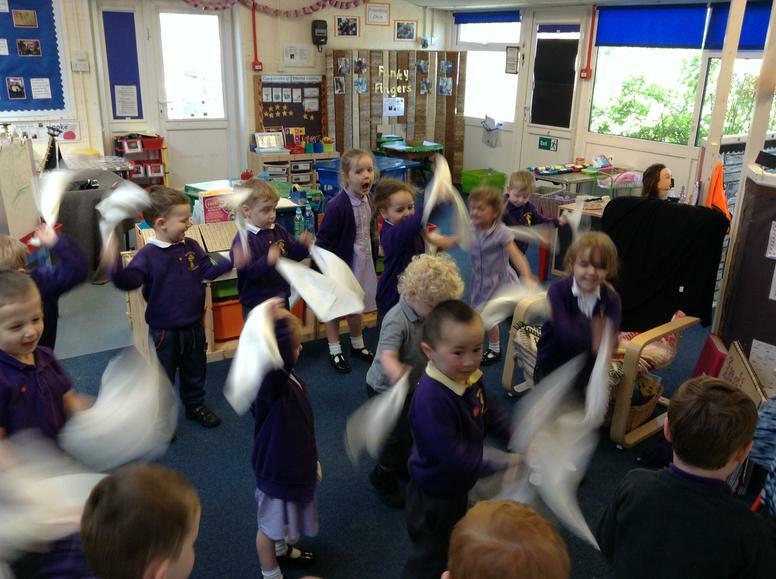 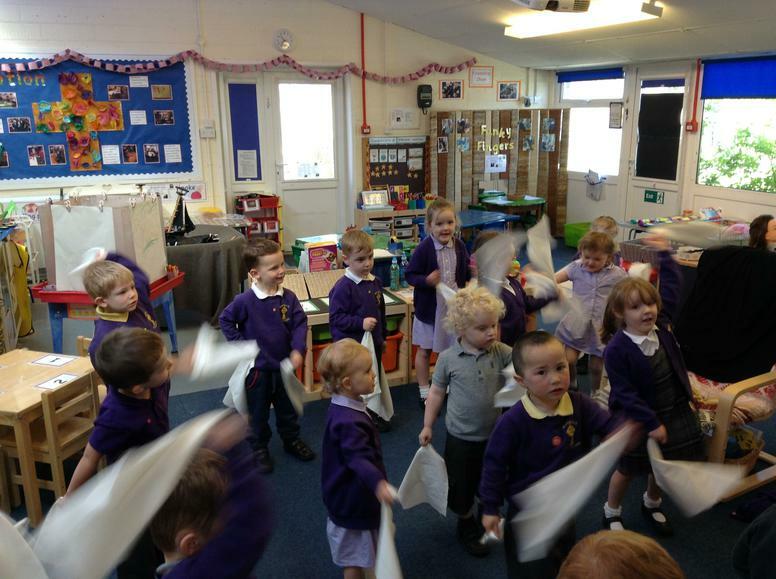 Children use movement with music to develop their motor skills in preparation for writing. 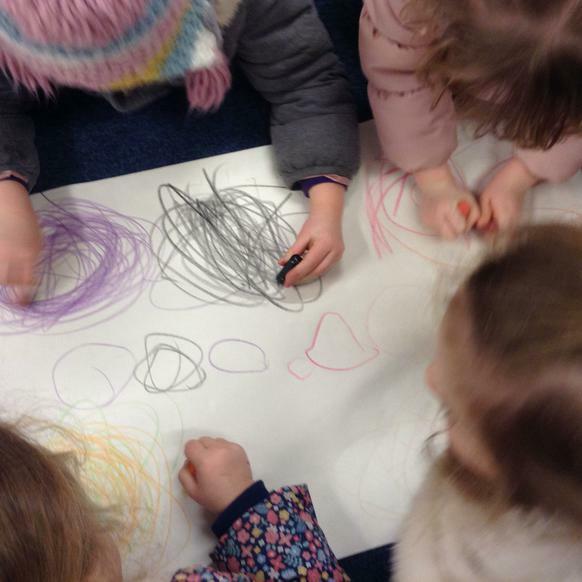 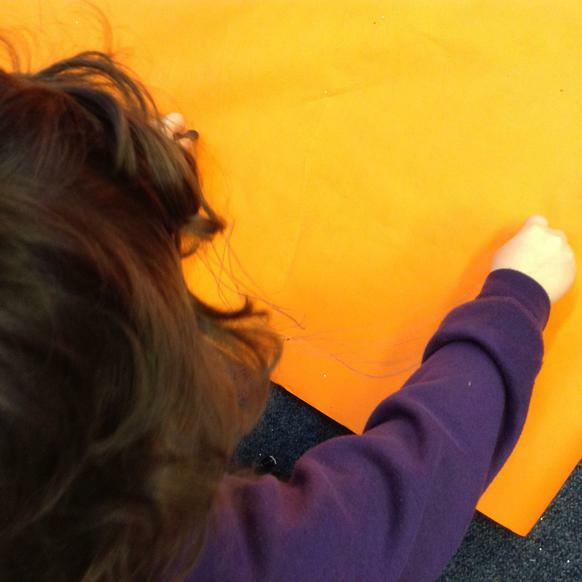 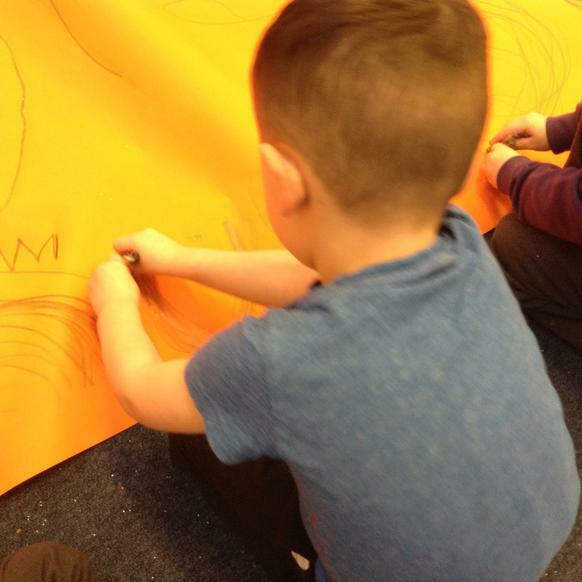 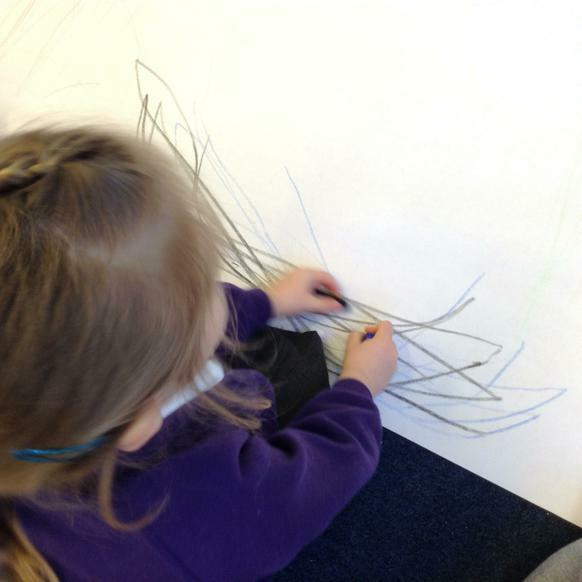 Through Squiggle While You Wiggle, children begin using ‘Flipper Flappers’ (material squares) to rehearse a range of patterns and shapes, which lead to children mark-making with chunky pens or crayons or chalk, in preparation for more formal writing. 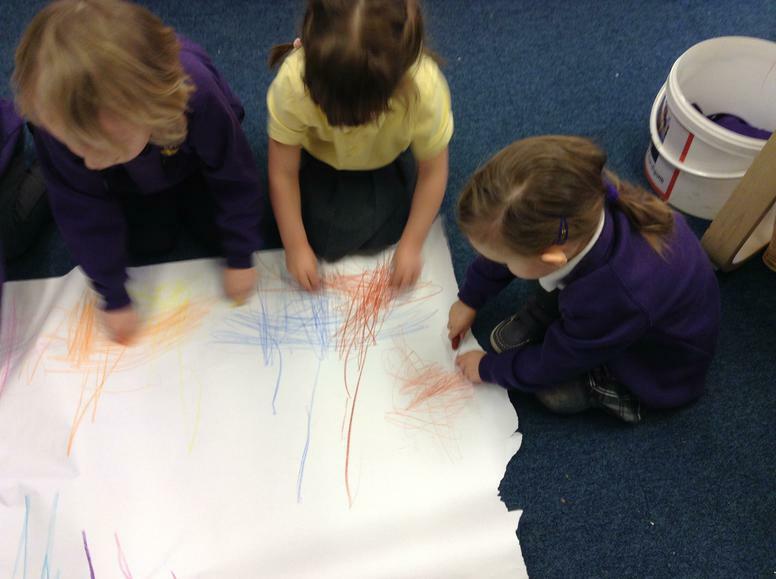 Please take a look at our photographs to see which mark making pattern we have been practising.